Porsche is back with its series of 'Top 5' videos. The latest video showcases the five loudest Porsche models ever. 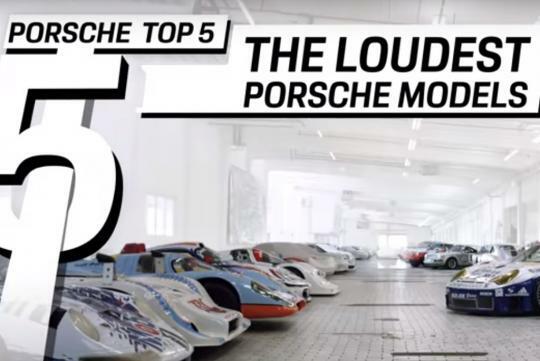 With Porsche enthusiasts Jean Pierre Kraemer and Benjamin Marjanac hosting the video, the guys took a sound-level meter to the secret warehouse of the Porsche Museum in Zuffenhausen to see which is the loudest car Porsche ever built. Are there louder cars built by Porsche? Maybe, because the video only includes the cars in this particular museum. We shan't give away which car is the loudest but in comparison, the loudest car shown is louder than a thunderclap or a Military jet taking off from an aircraft carrier.